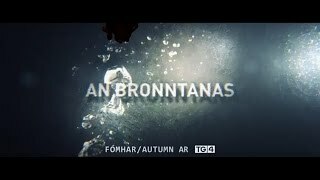 ‘An Bronntanas’ is a contemporary thriller starring Dara Devaney (‘Na Cloigne’), Owen McDonnell (‘Single Handed’) alongside veteran American Irish TV and theatre actor John Finn (‘Cold Case’). The rescue crew of a local independent lifeboat crew working off the coast of Connemara, Co. Galway receives a distress call on a stormy night. On discovering an abandoned fishing boat with a cargo of over a million euros worth of drugs the crew is challenged with a moral dilemma. Do they hand over the drugs to the authorities or sell them and save their struggling village? It’s a decision that will change their lives forever. ‘An Bronntanas’ was Stunt Coordinated by Stunt Guild Ireland’s Philippe Zone with stunt performing by Brendan Condren and Eimear O’Grady. Developed by Galway-based production company ROSG and Northern Ireland-based De Facto Films. It is directed by Tom Collins (‘Kings’) who also produced with Ciarán Ó Cofaigh. The feature was shot in various locations in Connemara, with Cian de Buitléar as the DoP.